You can see some people age in their face by their cheek area. You can see the little lines going up the cheeks. That means they have lost their tone or are starting too. Also the neck area. You can see it start to look less firm. I recently lost 31 lbs. I realized I can see it in my face and needed to do something. Same thing, the lines in the cheeks which I never have and a little in the neck area. First thing I do is a Mask. I have a Mask Kit coming out hopefully by the end of the month. Today I did a Fanie Mask. It sure did tighten my skin. Tomorrow it will look really good. You need to start taking care of the lack of tone as soon as you see it, and stay on it. My routine is my Capture Youth Water first and then the Viktoria De Ann Pepti Lift and Pepti Tone. I honestly feel the Pepti Pad is excellent to help fill in the fat pad areas of the face that we lose fat in as we age. I use it under the eyes, around the eyes and on my cheek area and also on the lips. It makes a big difference on the lips. It does not happen over night, but it will in time improve. Give it time to work. 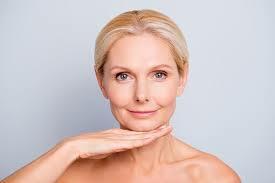 Of course Hyaluronic Acid helps to plump the skin. We all need plumping. We have so many excellent ones to choose from. Skin Care Devices are another tool to help firm the skin. You have to commit to using them. I have every tool you can think of, but I honestly do not use them enough. When I do, my skin looks so good afterwards. A wonderful Lifing Mask/ Moisturizer is the Saian Amino Lift Mask. It is hydrating as well as firming. Discounts will show in the shopping cart.